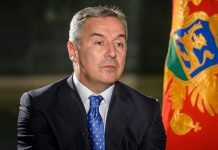 The new Montenegrin government headed by Duško Marković continues to implement the policies defined by previous governments over the past decade. The priorities remain the EU and NATO together with economic growth and improving the living standards of citizens. 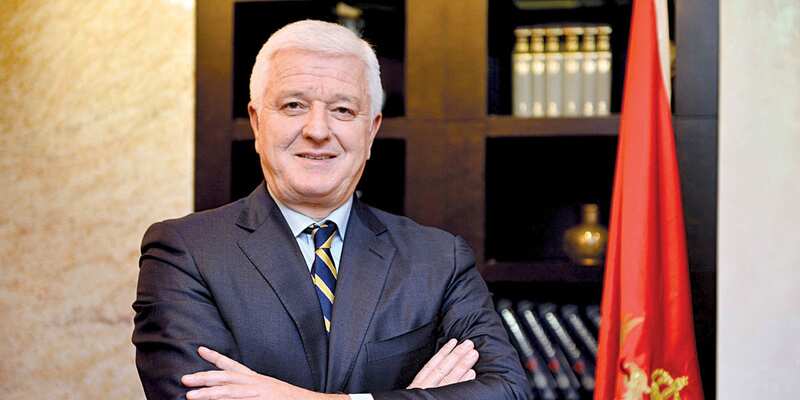 In an interview with the magazine CorD, the Prime Minister of Montenegro says that he will strive to strengthen the “internal cohesion of Montenegrin society as an important factor of overall progress”. Marković adds that he is willing to offer positions in the government to political representatives of the Serbian people, who are not at present represented in his cabinet, provided they stop their boycott and return to parliament. Mr. Marković, you are starting the New Year as the Montenegrin Prime Minister with a new government. You have said that it is a government of continuity with the previous government of Milo Đukanović, whose internal and foreign policy objectives will be continued. What will your priorities be? – By deciding to take to the future and progress of society into our own hands, we have mapped out Montenegro’s key priorities in the internal and external political agenda: membership in the European Union and NATO. Internally, we aim at strong economic growth based on the principles of the market economy and improvement of the living standards of each individual and each family. Those were the goals and priorities of all of our governments over the last decade, including this one, which took office in late November last year. I believe that in our foreign policy priorities we have achieved historical progress in a relatively short period of time: we have advanced a long way in negotiations with the EU and we have set the goal of concluding the negotiation process by the end of this government’s mandate. Our membership of the NATO Alliance is a done deal and we expect it to be formalised in the next few months. The key challenges facing this government are economic growth and strengthening the internal cohesion of Montenegrin society as an important factor of overall progress. Bosnians, Albanians and Croats have found their place in the current government of Montenegro, but there are no representatives of the Serbian people. You observed this yourself when you laid out your cabinet’s programme. Is it a shortcoming of the new government, and can it be overcome? – The fact that the present government has no representatives of the Serbian people is not a result of my attitude as Prime Minister towards the Serbian people. That is the consequence of the attitude of the political representatives of the Serbian people themselves towards the current government. What does that mean? Based on the election results of October last year, a parliamentary majority was constituted and consequently formed a new government. Back then, as the government was being set up in the parliament in late November last year, I offered places in my cabinet to parties that, according to the election result were supposed to be opposition, including those that bring together representatives of the predominantly Serbian people. It was an open and honest offer on my part, but to date it has not been accepted. It is not up to me to assess whether this is a shortcoming of the government. I believe that the government, in its current makeup, is acting completely responsibly and is committed to fulfilling the goals it has set, and I am very pleased with the performance of its ministers in the first two months. Can we overcome the current situation when we talk about representation of the political representatives of the Serbian people? Yes, we can, very easily. They should give up their boycott and return to parliament, and then I will be ready for them to take certain positions in the government. What will be the role of the former, long-time president and prime minister of Montenegro, Milo Đukanović, in whose political retirement few believe? – I would say that you are misinformed if you say that the leader of the restoration of Montenegro’s independence has politically retired. Đukanović is the president of the Democratic Party of Socialists (DPS) and he is very much engaged and dedicated to the daily life of the party. I can assure you that his political and public engagement is not the least bit reminiscent of retirement. 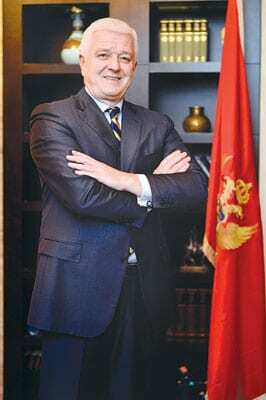 As a leader of the strongest political force in Montenegro, he is strongly committed to the organisational, personnel and overall strengthening of the DPS, so that our party can win the trust of a majority of Montenegrin citizens in future elections, and the next local election is already scheduled for 12 March in Nikšić. I do not have a shred of doubt that in this engagement he will achieve the best of results. What are the relations between Montenegro and Russia? Some very harsh statements were made by Russian officials on account of the government of Montenegro, condemning your predecessor Đukanović. Some saw the tensions in the electoral process as a direct interference by Russia in the internal affairs of Montenegro. – Montenegrin-Russian relations have a tradition of more than three centuries and during this long period they have always been friendly, at times patronising by Moscow, especially in the 19th century when Montenegro led the liberation wars against Turkey and aspired to international recognition of its independence. Of course, historical circumstances globally throughout this period led to, I would say, some episodes in our relations when we did not have a good understanding of each other. I think that over the last year we’ve been going through such a period, primarily caused by changes that have taken place in relations between Russia and NATO. These relations have led to a crisis in recent years due to the different interests of Moscow and the NATO countries in crisis areas on the international arena: from the period of constructive cooperation between Russia and NATO, five or ten years ago, there is now to a very strained relationship. When Montenegro restored its independence in 2006, we already then clearly proclaimed our key foreign policy priorities – membership of the EU and NATO. Russia understood our commitment at the time. In the meantime, there have been major changes between NATO and Russia, which coincided precisely with the final stage of our accession to the North Atlantic Alliance. Russia’s mood about the Montenegrin membership in NATO changed, but our resolve to implement what we set as key national interests did not. In a few months’ time, we will complete our membership of NATO and we hope that after that Moscow will accept reality and show willingness to improve relations with Montenegro. This is our desire and also our interest. You said that your priorities will be improving relations with Russia and your neighbours, as well as strengthening relations with the United States but also with China. Can such a policy of cooperation with everybody be pursued in the real world? – It is completely wrong to interpret cooperation with someone as automatically meaning action against others. Montenegro and its citizens have their own interests and the state leadership is working to implement those interests. Montenegro was invited to join NATO. The process of ratification of the protocol by the members of the Alliance is underway. Most members have given a green light. The green light arrived from the United States where finalisation of the procedure in the Senate is expected. How do you comment on that and what are your expectations? – Every ratification of the Protocol on the Accession of Montenegro to NATO, and so far there were 21 of them, means a special recognition for our country and its efforts to implement fundamental reforms. So by ratifying the Protocol in their national parliaments and through other procedures, member states acknowledge that our state has made measurable progress, primarily in the area of security sector reform and the rule of law. If this was not the case, the Protocol would not have been given the green light. In addition to satisfaction, this attitude of NATO member states obligates us and encourages us to continue even more strongly than before to implement reforms and the European agenda. As for the United States, they are our key partner in the whole process. NATO is neither a momentary nor a hasty alliance, just as the commitment of Montenegro to join this club is not an ephemeral political option, but a strategic path to the future of our country. I therefore have no dilemmas about how the new administration in Washington will treat its strategic partnerships. As President Trump said in his inaugural speech, the United States will reinforce all of its alliances. You assessed that this year will be historic for Montenegro, the most important after the declaration of the restoration of independence. What will NATO accession bring to Montenegro in concrete terms? 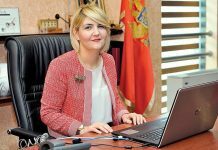 – Montenegro already has benefits from Euro-Atlantic integration. The process we have gone through has helped our institutions mature and strengthen so that they are able protect the state and citizens. This was demonstrated during the events of October last year when, on the eve of the parliamentary election, an attempted terrorist act was prevented. NATO is a guarantor of our security, the inviolability of our borders and the integrity of our state. We also expect economic benefits from membership, because states that are part of the Alliance are perceived by investors as stable and secure for their money and business. Common security will improve intergovernmental cooperation in other areas, including economic integration, energy connections and infrastructure projects. Do you believe in the thesis that the arrival of the new US administration and President Donald Trump could change the interest of the United States in Montenegro, which would supposedly be some kind of concession to the interests of Russia? – The United States today is one of the greatest world powers because of its clear vision and consistency of its policies, particularly those related to foreign affairs. I am confident that we will continue to strengthen friendly relations between Montenegro and the United States. The announcement of dialogue between Moscow and Washington are encouraging and I believe they are a signal to reduce tensions on the global political scene. Today we all share the same challenges, primarily in security issues, because terrorism affects ordinary people and does not choose place or time. Is your government a government of continuity, or will the new ministers bring a step forward in the economic policies that your cabinet will pursue? – The government will continue to follow and implement all strategic and development goals set in years behind us. We want a sustainable and inclusive economic growth that will contribute to reducing the developmental gap of the country in relation to the EU average and increasing the quality of life of all its citizens. Although GDP per capita in Montenegro nominally amounts to about €6,000 and is the largest in the region of the six Western Balkan countries, the purchasing power parity (PPP) in Montenegro is 42% of the EU average. That does not make us satisfied. The focus of economic measures of the government of Montenegro therefore implies the strengthening of the macroeconomic and particularly fiscal stability of the country and removing the key obstacles to improving its competitiveness. At the beginning of the mandate we proposed a package of fiscal consolidation measures for strengthening macroeconomic stability. This included also a series of unpopular cuts and austerity measures, we were forced to develop a rehabilitation plan, but I am more than pleased with the initial results. In the coming period, we will dedicate additional attention to implementing sector reform measures important for improving competitiveness, some of which were contained in the Programme of Economic Reforms for Montenegro 2017-2019. At the same time we will continue with the implementation of key development projects, all of which form the basis of a dynamic and sustainable economic growth. You have announced major spending cuts on account of the slowdown in GDP growth compared to last year. What are the main reasons for such a strong adjustment of public finances? – During the decade of the restoration of independence Montenegro’s economy recorded an average real annual growth of 3.2%. This growth is based on strong growth in investment, particularly FDI that accounted for 18-19% of GDP on average in the previous decade. However, with the outbreak of the global economic crisis, Montenegro saw an increased current account deficit, and borrowing to finance it from 2009 until 2015, when most of the new debt was development loans. At the same time, due to legal changes mainly in the area of pension and disability insurance and social and child welfare, there was an increase of budget expenditure by about 2% of GDP. I must stress that the new legislation was imposed by the opposition without proper analyses and assessment of its fiscal impact, by forming an unprincipled ad hoc coalition in parliament. All this was done under the guise of an alleged concern for the socially vulnerable, and essentially the aim was to score small-time daily political points. Those decisions have led to a reduction of activity on the labour market and an increase in the number of unemployed. With the increase of other categories of current spending (such as public sector wages) and with planned expenses for development, the budget deficit and public debt increased above the limits prescribed by the Law on Budget and Fiscal Responsibility. These are the key reasons for proposing measures of rehabilitation and fiscal consolidation, which is an obligation of the government in accordance with that law. In other words it is a package of measures of fiscal consolidation, i.e. reform measures with a macrofiscal impact, which will contribute to reducing the budget deficit in the medium term, from 6.1% of GDP in 2017 to 3.8% of GDP in 2019, and achieving a surplus in 2020. At the same time, that will slow the growth of public debt, whose share in GDP should be reduced after the construction of priority sections of the motorway in 2019. This plan represents an optimal combination of measures that will allow the stabilisation of public finances, continued sustainable economic growth and the preservation of the level of social protection of the most vulnerable social strata. With the proposed measures of fiscal consolidation, the projected average annual rate of real economic growth for the period 2017-2019 is 3.4%. By choosing these measures, we have strictly made sure to preserve the competitiveness of the tax and investment environment, without compromising the standard of living of citizens and socially vulnerable categories of the population, which would at the same time have been reflected in a slowdown in the economy through the reduction of private consumption. The proposed measures should therefore contribute to ensuring sustainable economic growth and higher living standards in the long term, as our strategic goal. What will be your priorities concerning economic relations with Serbia? – The priorities for economic cooperation with Serbia are related to infrastructure connections and the possibility of exploiting joint hydro-energy potential. The priorities are related to the strengthening of cooperation in the CEFTA free trade zone and the further development of tourism and transport. There is definitely room to promote economic cooperation. That cooperation has already been further encouraged through the Berlin Process and infrastructure connections within the region. The Berlin Process opened up the possibility for Western Balkan countries of funding transport and energy connections with the region, and beyond with the EU. In this context, the Trans-Balkan Corridor is important as it will improve energy connections between Montenegro and Serbia as part of a broader regional energy connection strategy. This project has been recognised as a project of importance to the Energy Community and as such it was supported at the 2015 Vienna Summit. Such status is another confirmation of the right decision to build an undersea cable between Italy and Montenegro and the policy of strong ties with the EU energy market, but also with the immediate neighbourhood. The total investment on the territory of Montenegro of €127 million includes strengthening the Montenegrin power transmission infrastructure related to the submarine cable and the construction of electric power transmission lines between Montenegro and Serbia. With the support of the government of Montenegro the Montenegrin electricity transmission system secured credit from the EBRD and KfW, and a contract was also signed that represents co-financing of these credit funds from the EU grant to the amount of €25 million. Also as part of the Berlin Process, in order to modernise the rail infrastructure to the border with the Republic of Serbia Montenegro was in 2015 approved a grant of €20 million from WBIF, while Montenegro will co-finance the project with another €20 million. So we are talking about specific infrastructure projects in progress. What is the real chance of connecting Belgrade and the Montenegrin coast by a motorway? – One of the most important projects for Montenegro – the motorway Bar- Boljare – is currently underway. We started with the construction of the first and most demanding section from Smokovac to Mateševo of 41 km and we will finish the work by May 2019. After that, we will immediately start with the remaining sections, especially those leading to the border with Serbia and onwards to Europe. We will use the time until then to define the possible models and sources of funding, especially those that will be available from EU funds, i.e. the Western Balkan Investment Framework through the Berlin Process. We have to valorise our excellent political ties with Serbia and with the government of Prime Minister Vučić through the implementation of joint economic projects that do not relate only to infrastructure. We will be strongly committed to this in future, because there we really see room for concrete cooperation between the two countries that will bring benefits to both the citizens of Montenegro and of Serbia.